MOOC provider turned for-profit educational provider Udacity has launched a new "School of Artificial Intelligence," which features four "nanodegrees" covering AI and machine learning. Each program has tuition and a set period in which to participate and complete the lessons. The courses consist of video lectures, personalized project reviews and a dedicated mentor. Those who successfully finish the program receive certification. The announcement came during the company's latest annual conference, Intersect 2018, which took place in its hometown, Mountain View, CA. AI Programming with Python, a two-month, $399 course that requires a commitment of about 80 hours. Intended for beginners, the program covers the fundamental building blocks for becoming an AI practitioner, including an introduction to Python programming and related tools, linear algebra and neural networks. For the course project students will implement an "image classification system" to train a deep learning model on a dataset of images, and then apply the model to new images for classification. Computer Vision, a three-month, $599-$799 course requiring 10 to 15 hours per week over the term and developed in collaboration with graphics company Nvidia and Affectiva, an emotion recognition AI company. Intended for people who have "significant" experience with Python and some understanding of probability and statistics as well as deep learning architectures, the course provides an introduction to the topic of computer vision techniques and object tracking and localization. Participants will tackle three projects involving facial keypoint recognition, automatic image captioning and landmark detection and tracking. Natural Language Processing, a three-month, $599-$799 self-paced program requiring 10 hours of work each week and developed in collaboration with the Amazon Alexa and IBM Watson teams. Like the Computer Vision course, this one also requires a background in Python programming and experience with probability and statistics and deep learning design. The course will cover natural language processing and computing and communicating with natural language. Students will tackle three projects, one on speech tagging, another on machine translation and a third on speech-to-text. Artificial Intelligence, a three-month, $599-$799 self-paced program requiring 12 to 15 hours of work each week and led by Sebastian Thrun, founder and head of Udacity; Peter Norvig, a director of research at Google; and Thad Starner, a professor of computer science at Georgia Tech. The most advanced of the classes, it requires experience in Python, an understanding of linear algebra and calculus, as well as probability and statistics and practice in running computer science algorithms and working with a command line. Coverage includes search, optimization and planning; adversarial search; and the fundamentals of probabilistic graphical models; students will also be assigned projects in each subject. As a blog post about the new AI school noted, "The likelihood that within five years you will be applying some form of AI, machine learning or algorithm-based technology in your job — no matter what your job may be — is increasing every day. No matter your profession — business leader, accountant, farmer, programmer or virtually any other role — AI is on your career horizon." 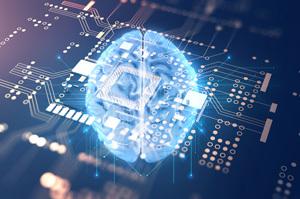 The courses come at a time when many institutions are bolstering their information management and computer science programs to provide an emphasis on AI. Udacity claimed that it has already graduated 8,000 AI nanodegree students — representing some "3 percent of the world's estimated 300,000 AI engineers." All of the new programs start in April.